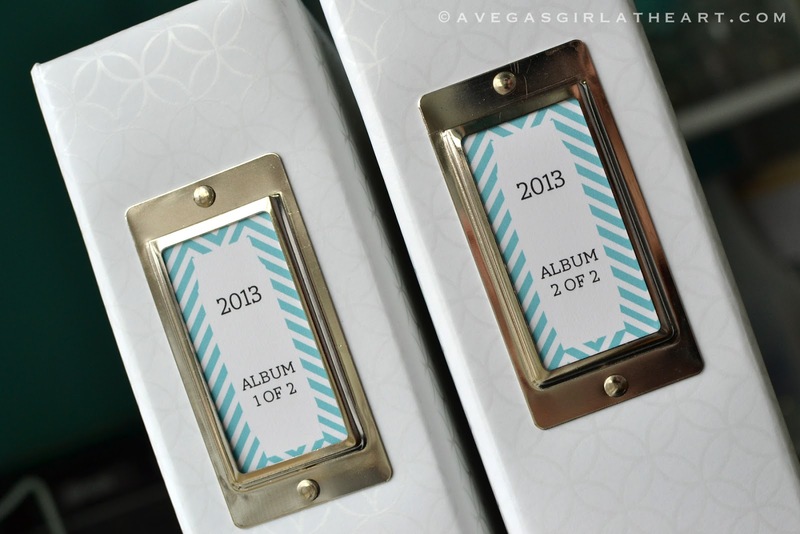 As you may have already seen in my Project Life 2013 album reveal, I made up these cute labels for my binders. Thought I'd share with you, for the very last freebie of 2012. 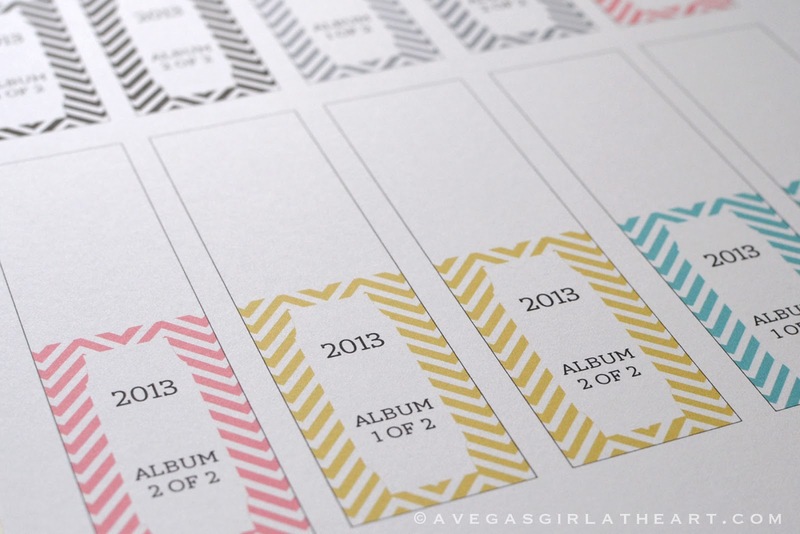 There's a printable PDF in 5 colors, and there's a layered PSD that you can make changes to yourself - colors, removing the chevron pattern, changing the text and font, whatever you like. Click here to grab your freebie. Happy Friday everyone, and I hope all of you have a wonderful New Years! Thank you so much! 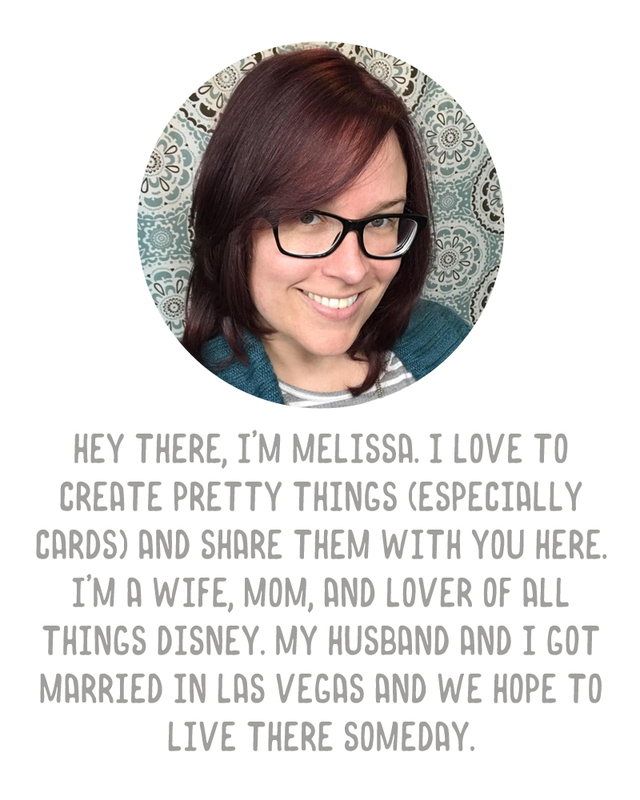 So excited to begin my very first year of project life! Wish me luck! i love your label and the font, btw, which font is it? I think it's AW Conqueror.